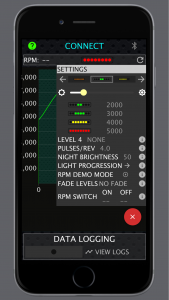 Sequential shift light or multi-stage shift light and performance optimizer mobile app. 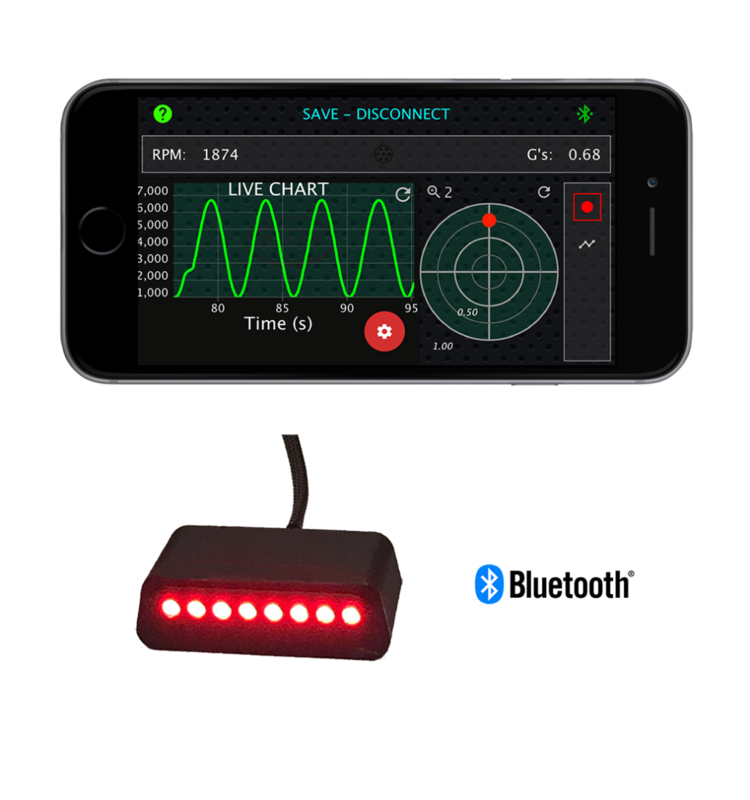 Control shift light wirelessly, log your RPM and optimize driving. Are you sure you're shifting at the right time? 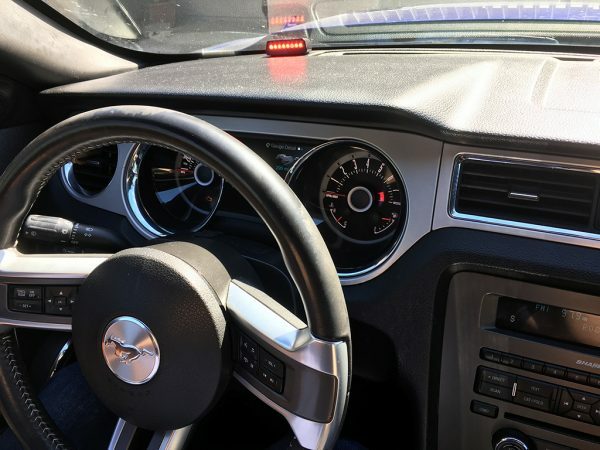 Most shift lights tell you when to shift, but given your reaction time and how long it actually takes to make a shift, you probably don't know what RPM you're actually shifting at. The Trac-Pac™ SQ Sequential Shift Light with the Performance Optimizer App will enable you to see when you're actually shifting and adjust when the lights activate so you can shift at the right time, every time! 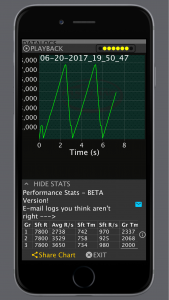 Now the app also logs lateral and forward acceleration, which you can view when your mobile device is in landscape orientation! See how much G-force you can hold in corners or when launching or braking. 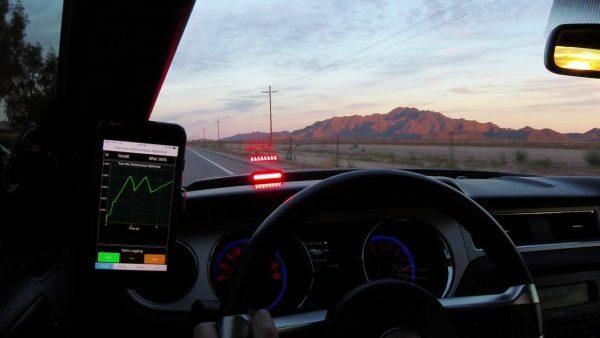 Want to control nitrous, an air shifter, or anything else based on RPM? Just add the RPM Switch accessory. It's a relay box designed to receive a signal from the shift light to control other devices! 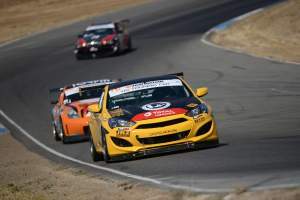 GoGoGear.com racing in action with the Trac-Pac SQ Sequential Shift Light! 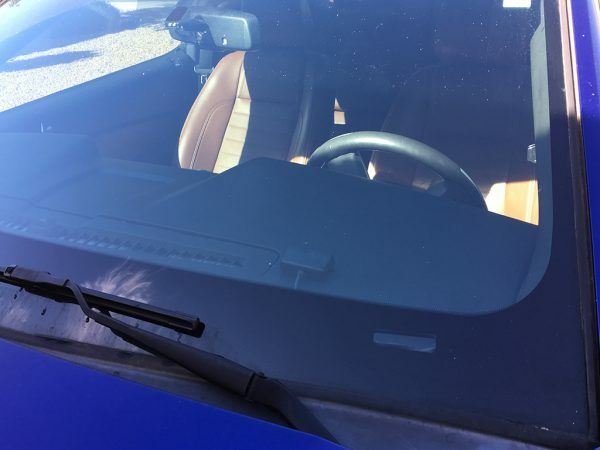 "Your shift light is awesome! My driver loves it. I think you have a winner on your hand. It is so simple and so effective." 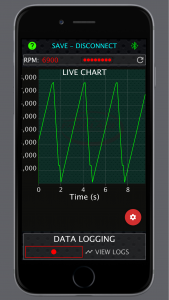 After connecting to the shift light (press the "CONNECT" button), a real-time chart is displayed as well as a virtual shift light and RPM text box. Great to see what's going on now, or press the record button to start logging RPM data for later review. 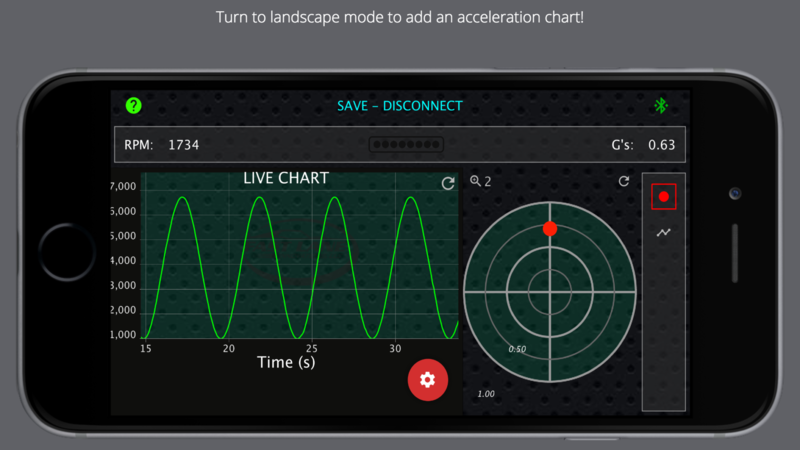 Turn to landscape to also view lateral and forward acceleration! Set up in minutes using the app, no need to even start your engine! 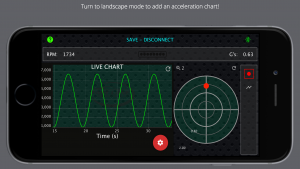 Select from a range of modes including sequential, progressive, or multi-stage. 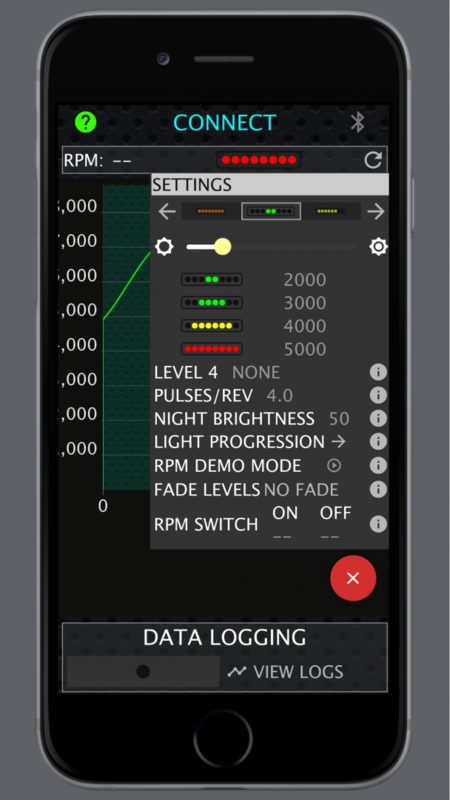 Select the RPM's each stage of lighting activates at. Set dimming for night time driving (if connected to instrument lights) The App is only needed for setup, shift light will work standalone after setup. 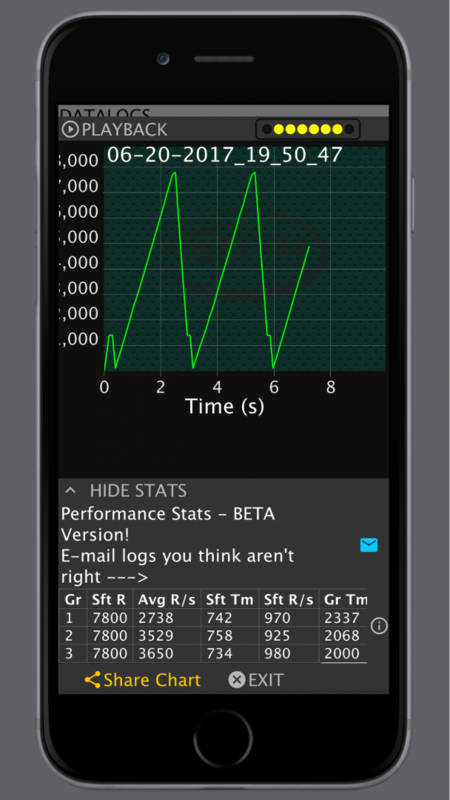 Log the RPM during your run, and see when you're actually shifting. 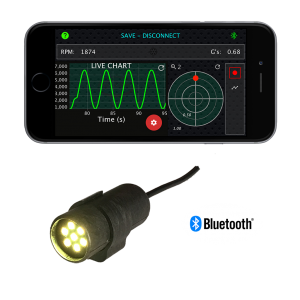 Fine-tune the lighting activation to shift at your desired RPM. Automatic performance stats give you the data you need at a glance when you review your datalog. Spot wheel-spin and top-end ignition or fuel cutout. Export the data as a CSV file, analyze it in a spreadsheet or use it with video overlay software. 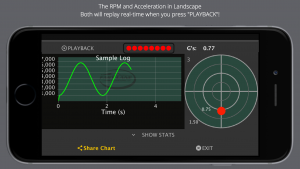 Turn to landscape to view acceleration during real-time playback! Is your driving optimized? 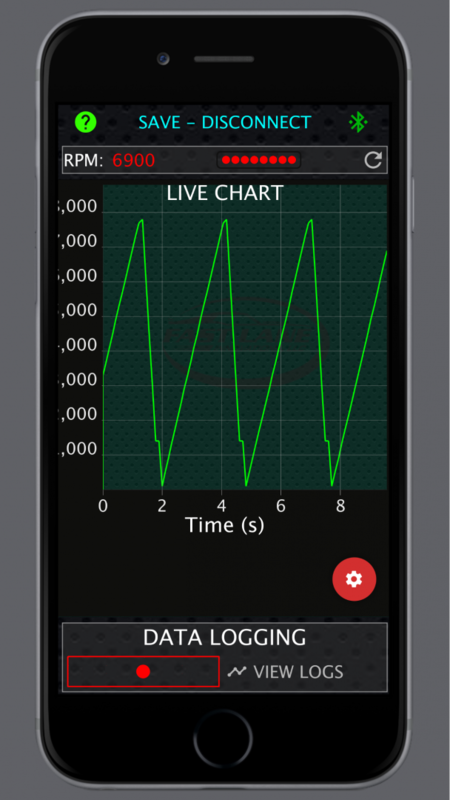 Dial it in TODAY with the Trac-Pac SQ Sequential Shift Light and Performance Optimizer App. Inquire about our dealer programs and add this to your lineup. Mobile phone not included. Requires devices with Android 4.3 or later, or iPhone 4s or newer running iOS 5 or later. We recommend downloading the app if you’re not sure. Run the app, and you should get an error if your device or OS does not support this. Of course, if communication doesn’t work you can return the item subject to our return policy. Only intended for use in motor vehicles. Only recommended for use on closed motorsports venues, use at your own risk. At this time, this product is only offered for sale in the USA. Any orders outside the USA will not be shipped, and the sale will be cancelled. 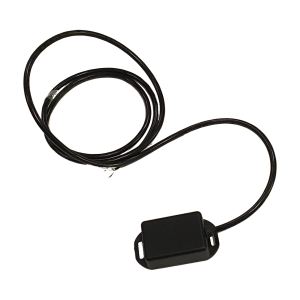 This product is only intended for use in automotive applications.